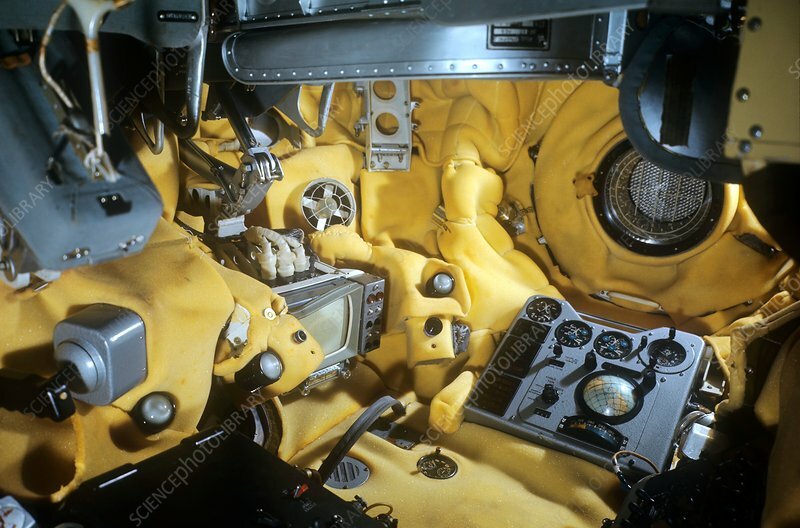 Voskhod 1 spacecraft cabin. Interior of the cabin of Voskhod 1. This Soviet three-man spacecraft launched from 12-13th October 1964, with cosmonauts Vladimir Komarov, Constantin Feoktistov and Boris Yegorov onboard. It was the first space mission with more than one occupant and the cosmonauts were so tightly packed into the tiny capsule that they didn't have room to wear space-suits.